Dr. Zaks has held a number of leadership positions with the Hospital, including membership on the Board of Directors, Chairman of the Department of Internal Medicine, Associate Director of Medical Affairs, and Program Director and Education Coordinator for Internal Medicine. Dr. Zaks received his ... Read More medical degree from Wayne State University School of Medicine, where he is now a clinical professor of medicine. He is board-certified in Internal Medicine, Cardiovascular Disease, Geriatric Medicine, and has ECG certification from the American College of Cardiology. He was instrumental in founding The Caduceus Society, a philanthropic organization of physicians, and has served as its chairman since 1991. He has served on numerous hospital committees and has received the Outstanding Clinical Faculty Award, as voted by graduating residents, a number of times. 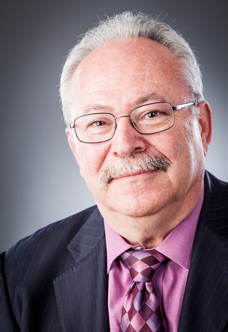 Dr. Zaks has special interests in Cardiology, Internal Medicine and Geriatrics. He is affiliated with the Providence Heart Institute which offers complete centralized cardiac diagnostic services including echocardiography, catheterization lab, recovery and cardiology support services in one unit, providing patients and families a convenient, pleasant environment. Jeffrey Zaks, MD offers services at multiple MI locations.